Went to look at this case today, but it wasn’t going to do the job. It looks like it has tons of 5.25" bays, but only the top three are usable; I need at least 5, and I could actually use more. There was a very high-end Z77 motherboard, which is just what I wanted, but the PCIe x16 slot was fried. 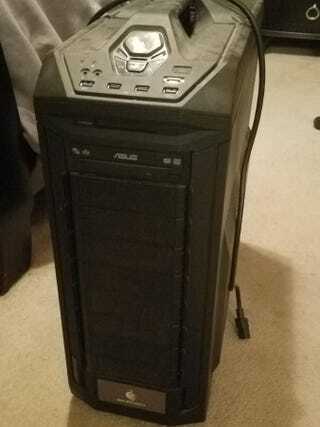 In addition, it had a decent Corsair 850W modular power supply that I managed to snap up for $25.